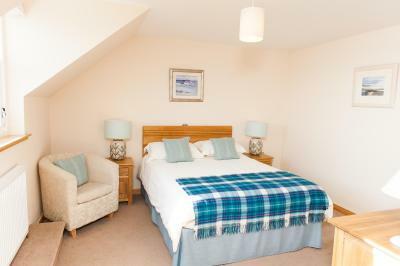 Lock in a great price for Ardoran House – rated 9.7 by recent guests! The location was just on the edge of the main village and close to the ferry. The proprietor picked us up from the ferry and drove us to the hotel so we didn't need to carry our cases. The modern building belied the extensive and beautifully decorated interior. Rooms were spacious and welcoming. So too the manager who welcomed us with a glass of wine. The breakfast was cooked to order an d was fresh and very tasty. I would recommend this accommodation to anyone. We enjoyed the comfortable bed and spacious room. Richard, our host, was very helpful and ensured we had a tasty breakfast. It was nice to gather with the other guests for a glass of wine in the later afternoon. 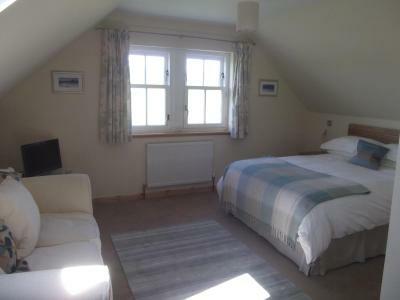 Ardoran House was a perfect place to stay, the house was immaculate, the breakfast wonderful and the beds a dream. I will definitely be returning. The Ardoran was the most charming guest house I have ever stayed in. 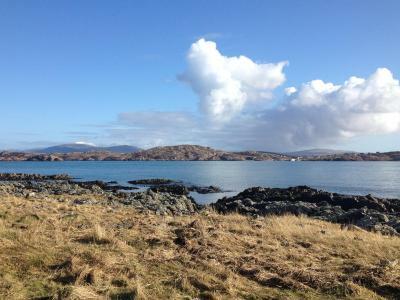 Iona is a very special location and Ardoran is an excellent choice for a stay. Richard, the host, was most helpful, knowledgeable and kind. Thank you, Richard! The setting, directly across from the ocean, was wonderful. Special touches: fresh flowers artfully arranged and placed everywhere. The breakfast was superb...worthy of 5 stars. Complimenting the marvelous food were the tasteful, beautiful table settings. The glass solarium was a wonderful spot for reading as was the living room. Our host offered a complimentary glass of wine each day. We were picked up at the ferry and our luggage brought to our room...both coming to the inn and leaving. We are avid readers and were pleased to find the lights far better than adequate. Ardoran is a place of beauty and good taste. 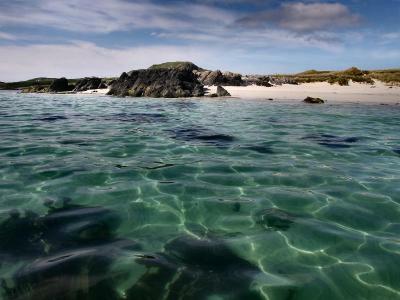 Iona is a world renowned place of beauty and peace and Ardoran is an excellent addition to this magical island. We had a fabulous host at our B&B. He even had a friend/colleague pick us up from the ferry, and take us back to the ferry at our departure. His house was beautifully decorated and the breakfasts were delicious. The room was very comfy. The Abbey was the main attraction for us, but the fine 3 restaurants were a wonderful surprise! The only bad thing is that we only stayed for one night! We loved our stay at Ardoran House! It is set off a little way from the "center of town" - an easy walk from the ferry, but you can easily get your bags picked up or dropped off by the hotel and that seemed fairly common. The house itself is spacious, clean, comfortable and quiet. 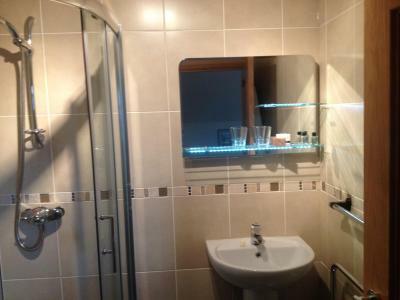 Beautifully decorated with a lovely garden, sun room and breakfast room. We had the deluxe twin room with sea view - truly, the only sound at night was the waves crashing right outside the window. Richard was a pure delight and really lovely to talk to. Breakfast was great. Please stay here - and take me with you. The hosts were gracious and welcoming. The room was quiet and comfortable with a towel warmer. There was tea and coffee available in the room and a glass of wine at 6 pm in the conservatory. Breakfast was great. It was a comfortable walk from the major attractions of the island and a great place for nature watching. Everything was perfect, the breakfast was great, bed was comfy and the staff especially Richard were very helpful and welcoming. 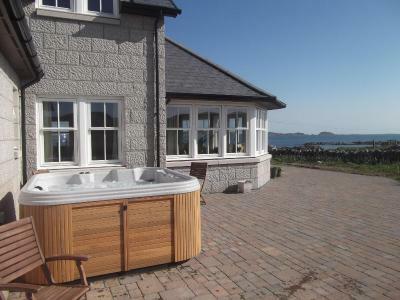 Located on the Isle of Iona, 1,650 feet from the Iona Ferry Terminal, Ardoran House features a sun terrace and a private beach area. Iona Abbey is 0.8 mi from the property. 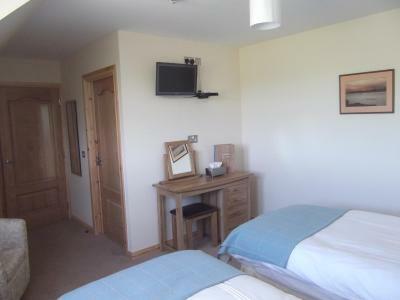 All rooms come with a flat-screen TV and a kettle. Extras include a hairdryer and free toiletries. 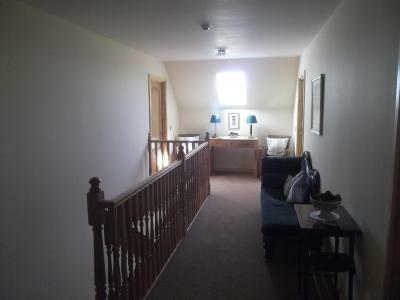 Ardoran House features free WiFi throughout the property. Guests can enjoy various activities in the surroundings, including golfing and hiking. This property also has one of the top-rated locations in Iona! Guests are happier about it compared to other properties in the area. 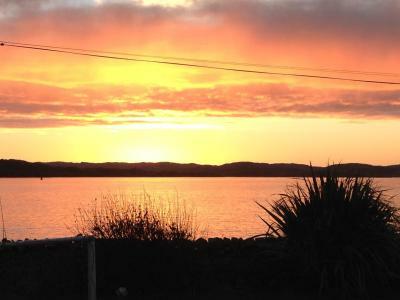 This property is also rated for the best value in Iona! Guests are getting more for their money when compared to other properties in this city. 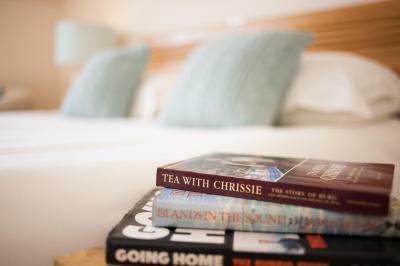 When would you like to stay at Ardoran House? 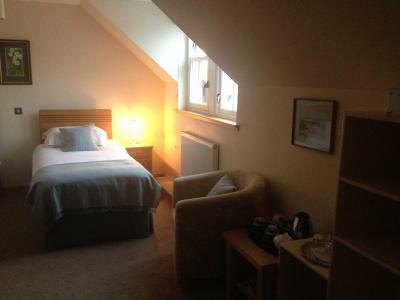 This double room has a electric kettle, sea view and iPod dock. 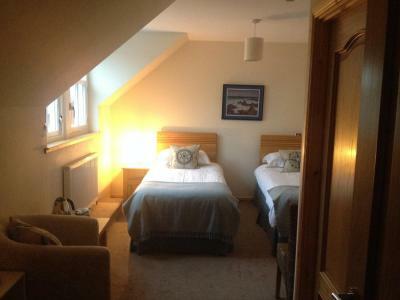 This twin room features a electric kettle, iPod dock and view. 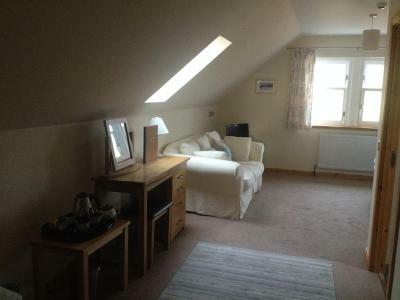 This double room features a sofa, iPod dock and electric kettle. House Rules Ardoran House takes special requests – add in the next step! Ardoran House accepts these cards and reserves the right to temporarily hold an amount prior to arrival. Kindly note that visitors are not allowed to take cars on to Iona. Please inform Ardoran House of your expected arrival time in advance. You can use the Special Requests box when booking, or contact the property directly using the contact details in your confirmation. 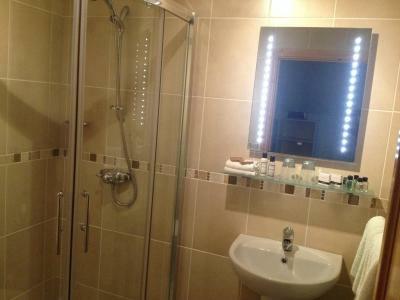 This accommodation was warm, welcoming, well appointed, tastefully furnished and comfortable. We were met and transported to and from the ferry which we didn't expect, and Richard, our host, booked us into the only place open for our evening meal. 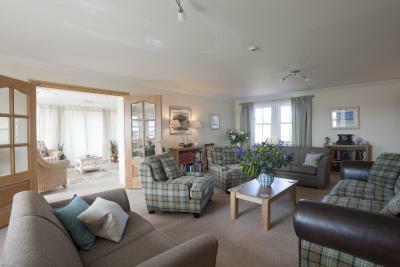 We highly recommend Ardoran House. Recently built but in an older style Ardoran house was about 10 minutes walk from the ferry terminal (away from the Abbey) but we rang when we arrived and the host picked us up and then delivered us back to catch our last minute afternoon Staffa Trips boat ride. When we left we left our bags with our hosts while we walked to the Abbey and they arranged for the bags to be delivered to us at the ferry terminal. The lounge and conservatory areas were pleasant to sit in and we could enjoy a board game there. The garden was very pretty and full of flowers. 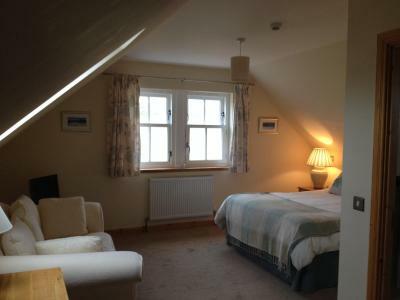 Our upstairs twin room was a deluxe twin room with a sea view but we found that the views from the back of the house inland were also quite attractive. Breakfast was cooked to order and served on lovely vintage Wedgewood. 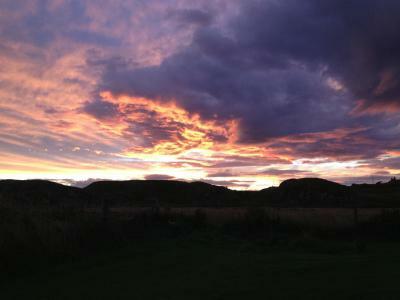 In general, Iona was beautifully quiet and restful. Be aware that shops close around 5pm but the .... was lovely and sold us sandwiches when we didn’t feel like a full meal. The weather - rainy and cool. No problems at all with the property, they can't control the weather. Loved the banana crepes. It was so great to get something other than eggs for breakfast! Glass of wine offered in the evening gave an opportunity to meet other guests and the host. Loved the views from the house and along the walk to the village. 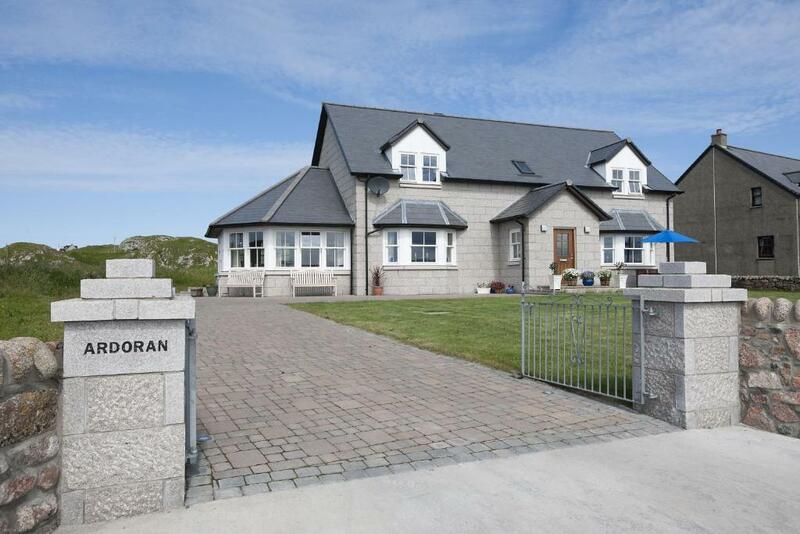 Ardoran Houze is set in a perfect location with views of the sea. The decor is tasteful, elegant and very comfortable. Richard, the host, is mindful of visitors needs and checks regularly if all is well. 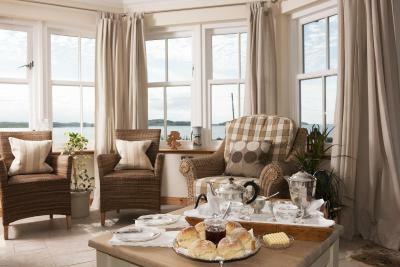 The breakfast is comprehensive and served with the elegance in keeping with the rest of the house. I have no hesitation in recommending Ardoran to anyone. Thank you Richard. 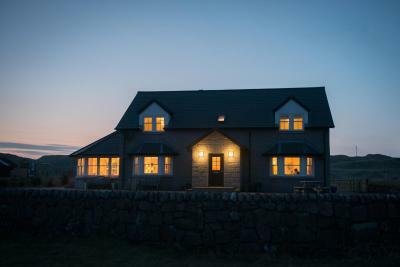 Great house, super host!...on a super place isle of Iona! Little expensive but captured audience on an island so to be expected. 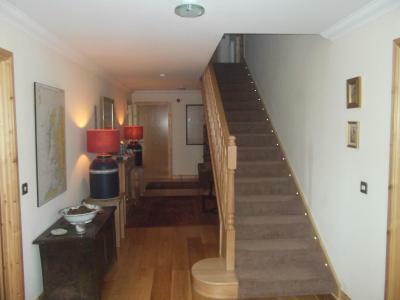 Beautiful property in an excellent location with stunning views. pricey - but you're on Iona! Otherwise, just perfect. Hearing the waves lapping. Gorgeous garden. Taxi service to jetty (only a 7-minute walk anyway). Fabulous breakfast table and excellent breakfast. Every luxury and in exemplary taste. 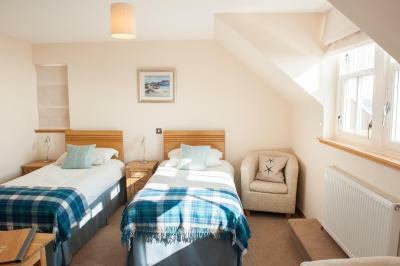 The cost of B&B on the island is high compared to even a city break, However we knew this before we booked and reflects demand and supply in the summer months. Just a shame it makes it less accessible for people to go there. Lovely B&B , good breakfasts , good service . Very relaxed in terms of coming and going.